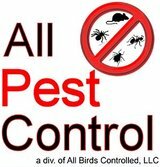 Looking For A Pest Professional In Your Area? GreenTech Heat does not offer pest control service. We sell equipment and training for heat treatments of insects. Due to our growing popularity of many visitors to our site, some are just good folks seeking a heat treatment service provider and ask us for a referral. So, we at GreenTech Heat decided to offer those visiting for the need of a heat treatment, the opportunity to select from a sampling of our professional pest control companies that use GreenTech Heat Solutions systems across the country. Please view our growing list of service providers throughout the USA and Canada. If you are a GreenTech Heat equipped pest control operator and would like to join our page, you will need to add this code to your web site. Please click here to email us your contact information along with your web site and logo. Once we have verified placement of our linked logo on your web site, we will add you to our list. 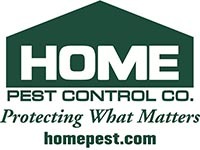 EMCO Termite & Pest Control Inc.
Newtown Termite & Pest Control, Inc.